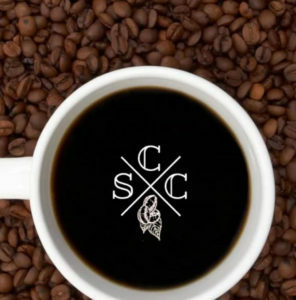 Here’s where you can buy your Staunton Coffee Company coffee beans online. Our famous and unique blends are roasted in the beautiful Shenandoah Valley town of Staunton, Virginia, just a few blocks from our flagship partner, Cranberry’s Grocery & Eatery. The roasts were created by longtime Cranberry’s manager Lester Bowers, and are now under the tender loving care of master roaster Beau LaFon. Our beans are so popular that we ship them regularly to customers across the country. Now you can order them, too. All blends and single-origin roasts are $14.99 per pound, plus tax and shipping. 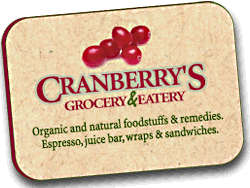 If you wish to pick up your order at Cranberry’s, please order by phone to avoid the shipping costs. We ship in 1-pound bags, up to 10 pounds. Place your order below via PayPal, or call Cranberry’s at 540.885.4755. Our most popular blend, also served as Cranberry’s house brew. Brazilian body, Costa Rican crispness, and Sumatran spice create an all-pleasing coffee. Roasted medium dark. Half Guatemalan and half Sumatran, the best of both worlds. Roast it dark, light the fuse and run away! Not for the faint of heart. Our French roast, the Midnight blend is our Ethiopian Yirgacheffe beans roasted to the darkest perfection. Sweet, rich, low-acidity with a bit of chocolate and spice at the finish. Roasted medium dark (full city). A memorable, savory brew with a drier finish. A delicious, naturally-decaffeinated-with-water roast. None of the chemicals, all of the taste. A crisp yet somewhat syrupy cup with notes of citrus and berries. A true Central American bell-ringer. Roasted medium (city). One-half Colombian natural decaf plus one-half No. 7 equals one full-bodied coffee with only half the caffeine. More flavor than a decaf, less caffeine than a regular. You CAN have it all!